The desperation of the major political parties in Adamawa State to return or retain power by all means constitutes the gravest danger to the integrity and success of the 2019 elections. Without mincing words what happen in Adamawa State this Wednesday is clearly a show of shame by opposition politicians in the State, first the so called protest today was organised by CAN and it discover that the police commissioner in Adamawa state has not granted permission for the said protest, the body in it wisdom told the gathering that the protest is no longer holding due to the complaint from the police said Bishop Mamza and immediately disperse the crowd to go back home and pray for God intervention. However the protest was organized due to the rampant killings of both Christian and Muslims in Adamawa State according to CAN. I wonder the display of desperation for power by the opposition politicians in Adamawa, It marvels me by the suggestions of some people that what happen in Yola today is a religious crisis, sponsored by a Christian gubernatorial aspirants contesting in 2019. in as much I am not defending anybody, the truth must told. The truth must be made plain, what happened today has everything to do with a clear manifestation of desperate politicians who knows for sure that defeat awaits them come 2019. One question that come to mind is, despite the happening today, was there a protest by CAN as alleged? Who led the protesters? Most of the contestant from both APC and the PDP are Muslims, was it a coincidence that a gubernatorial aspirant flag off a rally today? why was the bill boards of the opposition politician especially that of the PDP and the other political parties not touch. PDP for instance has no Christian gubernatorial aspirant, if the protest was sponsored by Christians as speculated in some quarters, then the Bill board of other Muslim aspirants in PDP would have been thorn just like that of the Governor. The protest today remind me of what happened 2007 and 2012 between the Former Governor of Adamawa State, where the both aspirants were Muslims and one of them decided to use religion to outdo the other, and subsequently deceived Christians that the Former Governor don’t like them. What happen today should be condemn by all, because this is a clear picture of what the opposition politicians plans to do to Bindow in 2019. Election is not do or die, I suggest that those that feel they can defeat Bindow in 2019, should come out clean and campaign on issue based not resulting to campaign of calumny, all in their vain effort to hoodwink Bindow into handing over power to them cheaply through cheap black mail. Some of us have been crying in the wilderness drawing the attention of the Governor to the antics of the opposition in Adamawa. 2015 is not 2019. The killings in Numan/demsa is politically motivated. If we may recalled, what characterized the election between the late Ibrahim Bapetel and Nyako in previous election, we would understand that same gimmicks is playing out. Nyako was tagged as a religious bigot by the defunct ACN in Adamawa. Gov. Bindow what is happening in Adamawa has nothing to do with religion, but a desperate attempt to blackmail you by the same group of people. Adamawa state has no record of religious violence in recent time, where is this so called violent protest coming from? Why now? Is it because of 2019? All these questions deserves answer from all of us. recently the Govenor was accused of financing Atiku’s campaign, all these was done to cause friction between Bindow and Buhari, haven seen that the plan failed, they resulted to pulling down the Governor bill board. It is already written that a fellow Muslim like Gov. Bindow has set religious coloration to every activities of the Governor. The only way out of these is to call spade a spade, if not we will be roaming in this wilderness of endless negativity. “The investigation unravel the source of the violent protest, as a gubernatorial aspirant occasion coincide with the protest, and most of the protesters were seen in the gubernatorial office of the aspirant “It was too hasty to conclude that the violence today was a religious one. 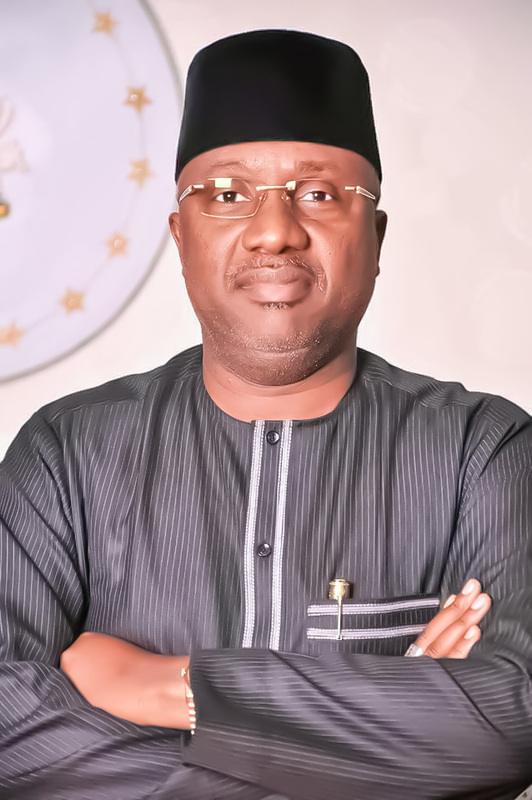 Here is an amorphous conglomeration of opportunists of various categories, which masqueraded for years as a politicians, mismanaged the affairs of Adamawa and squandered both goodwill and enormous resources.” “The other major source of concern is the manner these desperate politicians are going about the ganging up against Bindow. Everything have become clearly politicised, partisan and compromised. The destruction of the institutional integrity, professionalism and effectiveness of the politicians has become a source worry to some of us. God Bless the achiever, Bindow.